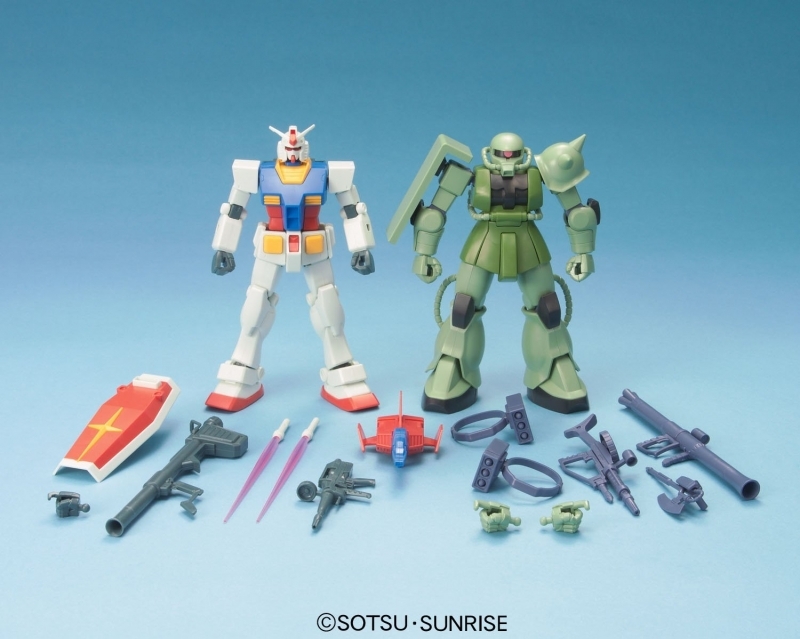 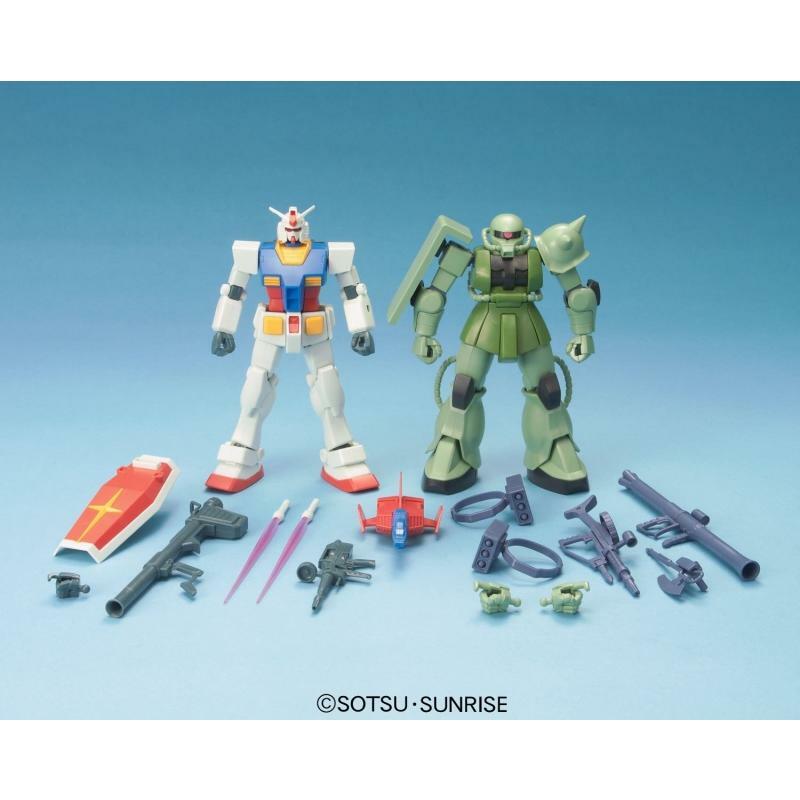 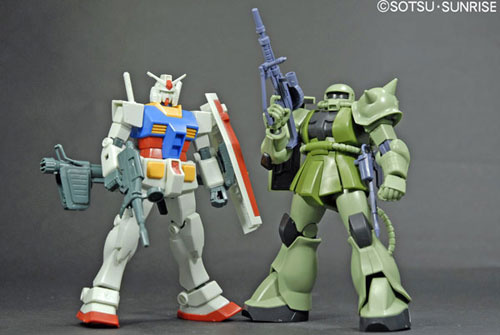 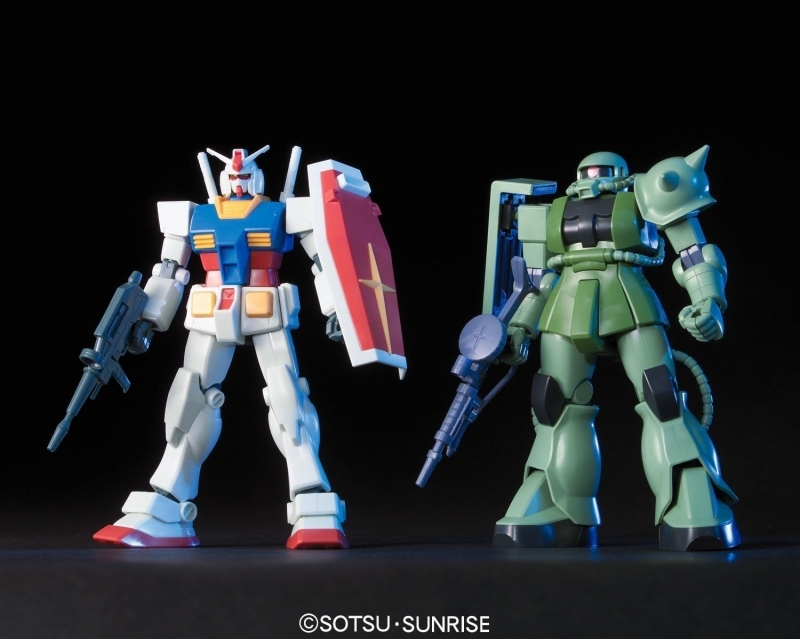 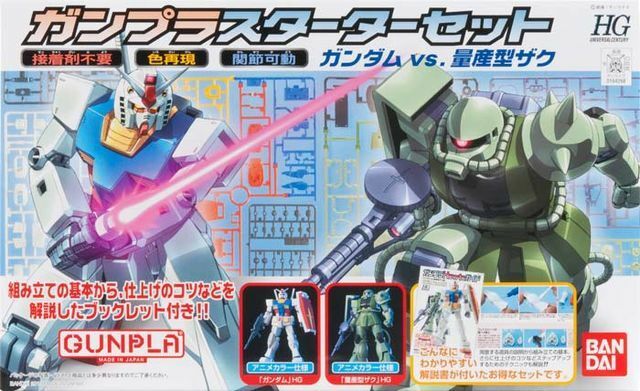 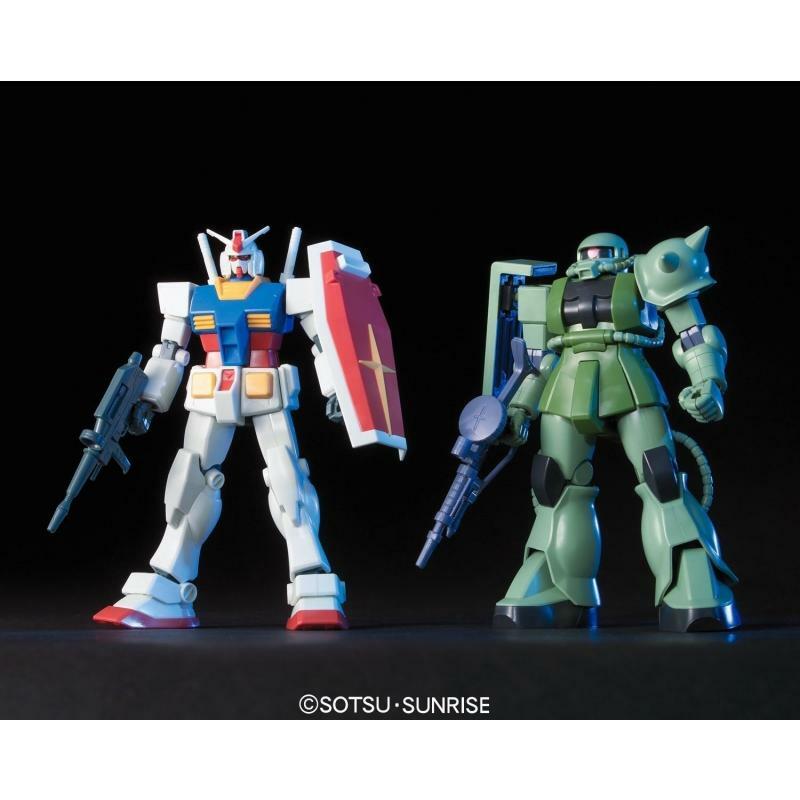 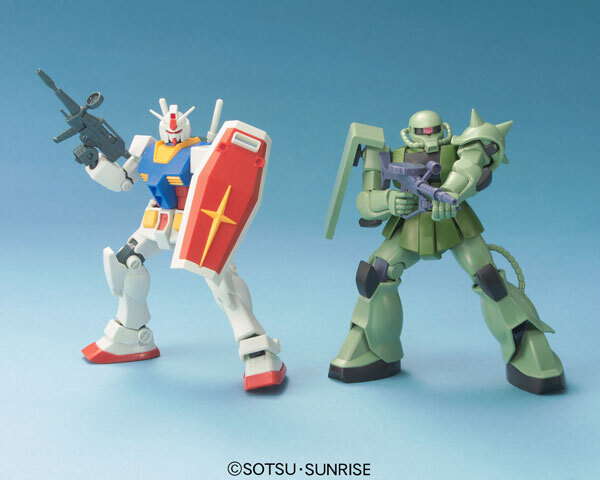 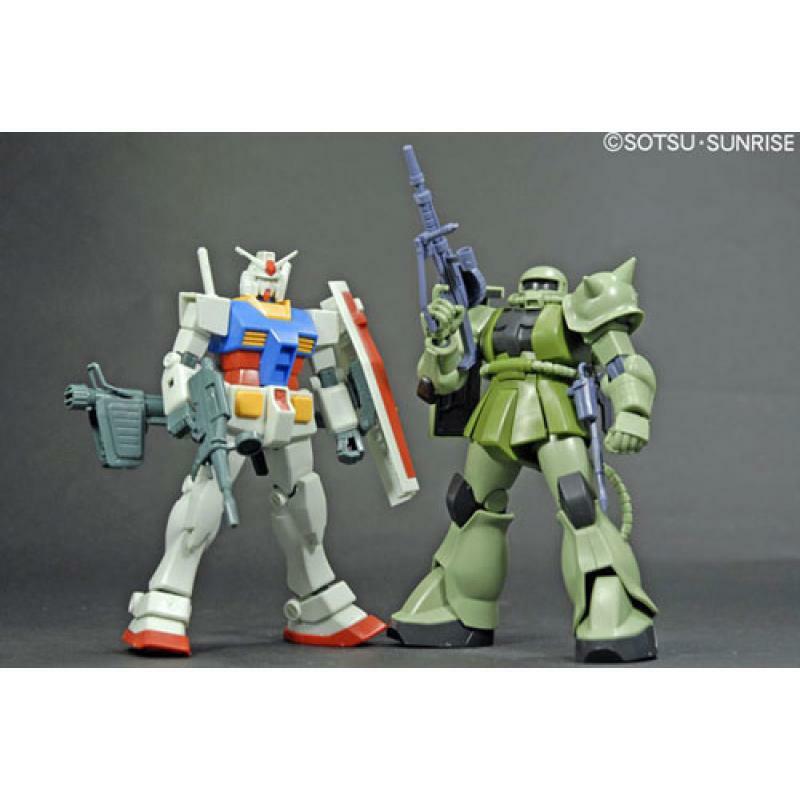 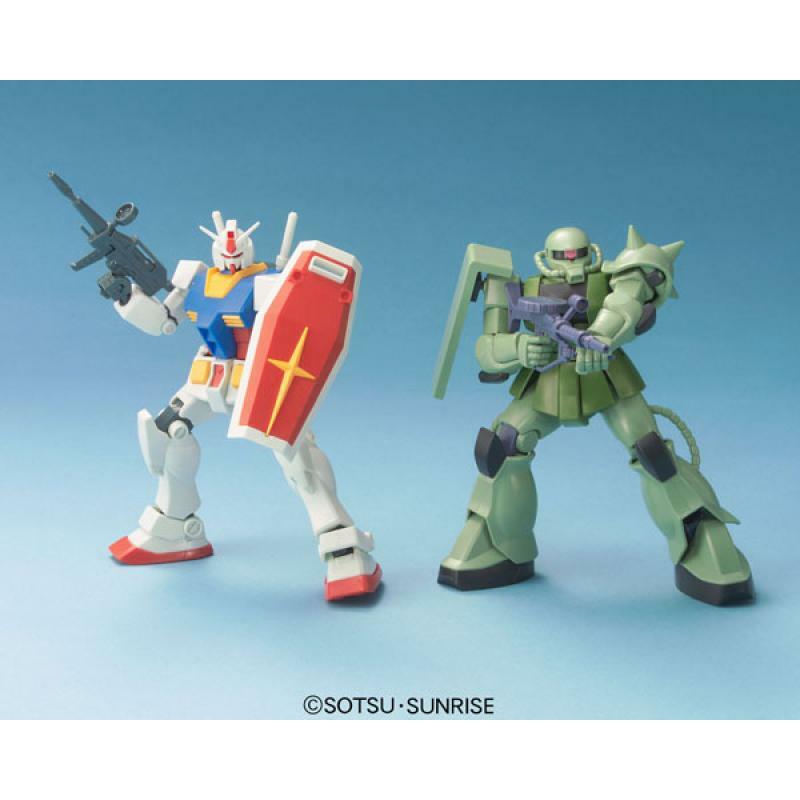 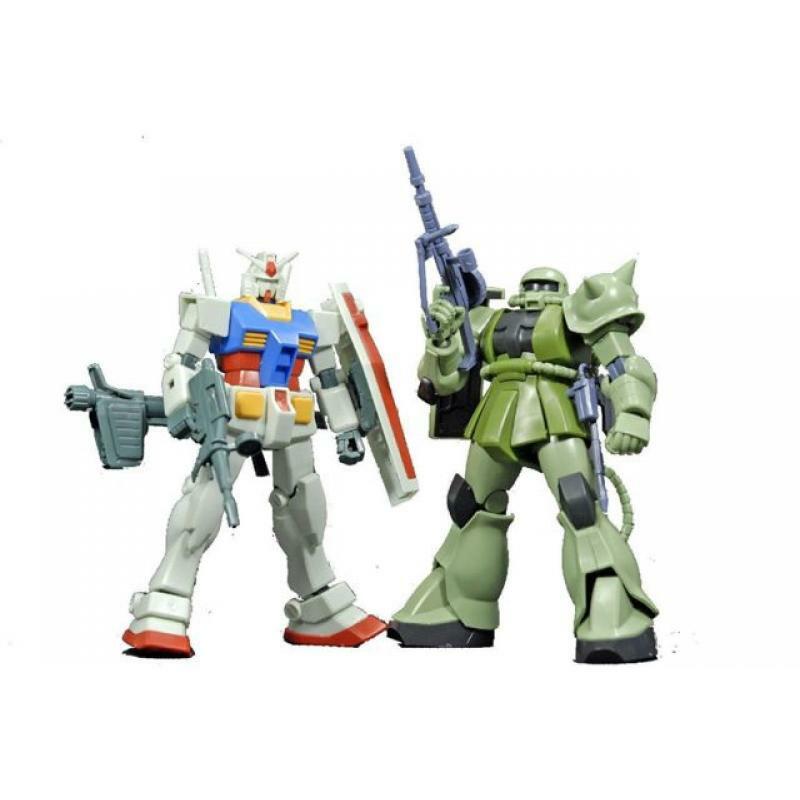 A 2 pack featuring the iconic mecha from the original Mobile Suit Gundam TV series includes the RX-78-2 and also the Zaku 2. 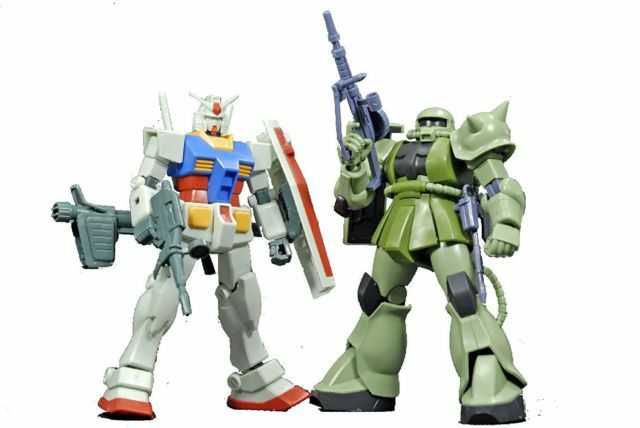 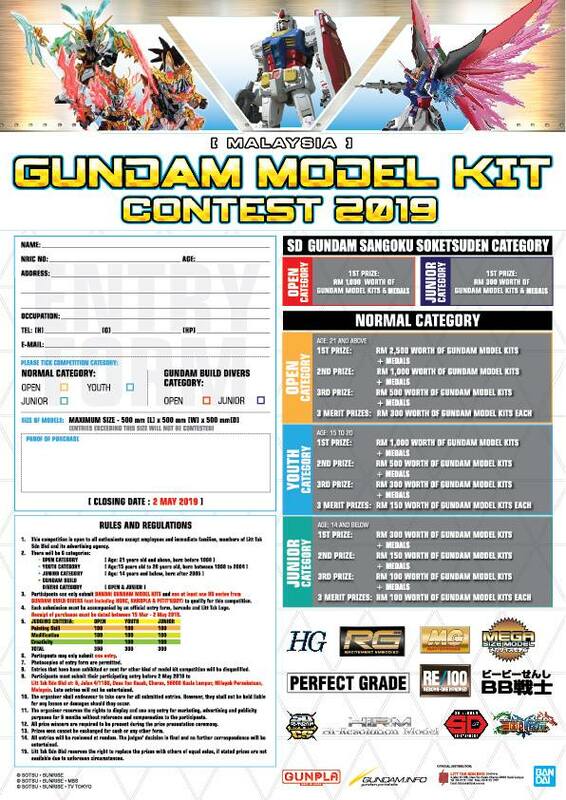 Both feature their High Grade Universal Century kit designs and come complete with their original weapon configurations. 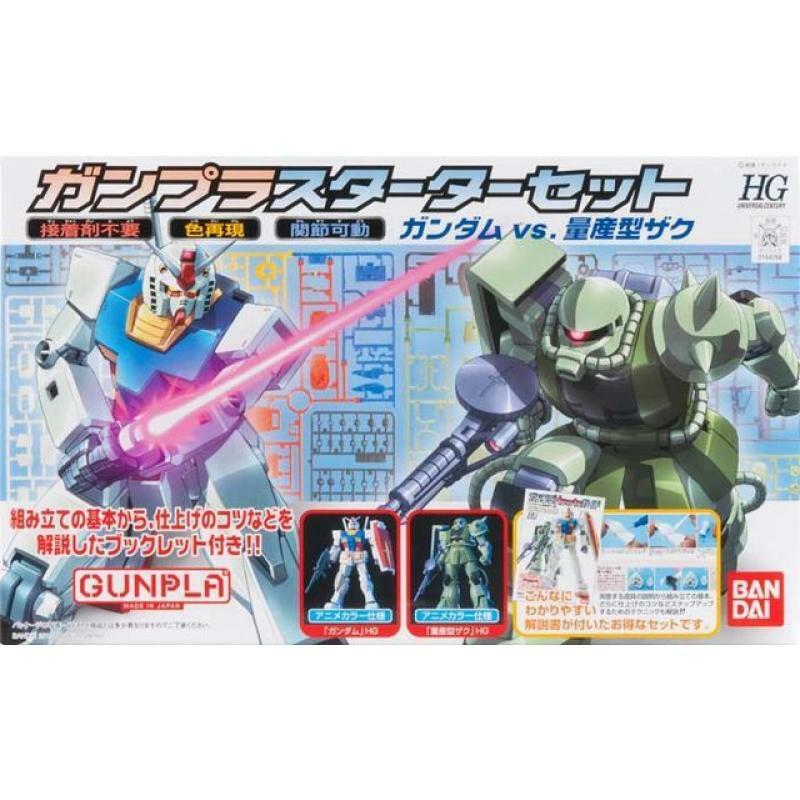 This special 2 pack also includes a how to guide providing pictorial steps on how detail Gunpla and go farther beyond simple straight assembly.